Future of Design Pavilion – First image!!! 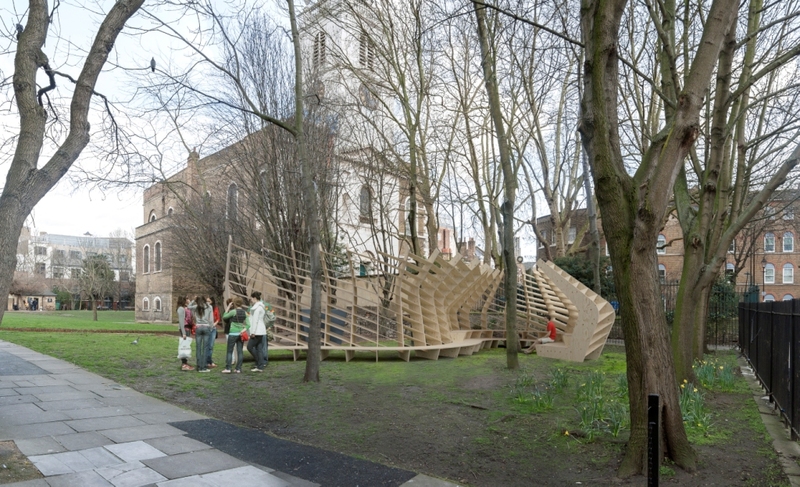 Great news, the first image of the forthcoming future of design pavilion in St James’s church garden, Clerkenwell, has been revealed! Thanks to everyone for their hard work in getting us to here, especially Steve, Annabel and Jamie the CGI guru. Check back soon for more posts on our progress to the build at the end of May.